Donald M. McNicol, IRE President, 1926, worked for land-line telegraph companies, and published three books about telegraph engineering. Nicol was IRE president in 1926. Donald McNicol was born in Hopetown, Ontario, Canada, July, 1875. He was a pioneer in radio research and experimentation, and had a transmitting and receiving system in operation in Minneapolis as early as 1900. His first important published work was an illustrated serial on "Wireless or Radio Telegraphy" which was published in the Western Electrician during 1906 and 1907. For twenty years he was in the service of the land-line telegraph companies and wrote three books on telegraph engineering which have been used very widely. One of these was translated into French. In 1922 he became assistant to the president of the Radio Corporation of America, and a year later engaged in consulting work in communication engineering, serving a number of engineer and manufacturing companies. In addition, he became vice president of a company manufacturing terminal-office equipment. He was recently appointed editorial director of the publications Radio Engineering and Projection Engineering, and his "The Engineering Rise in Radio" which was published in Radio Engineering, will undoubtedly be remembered by many. Mr. McNicol became an associate member of the Institute in 1914, advancing to the Member grade during the same year. In 1924 he became a fellow. 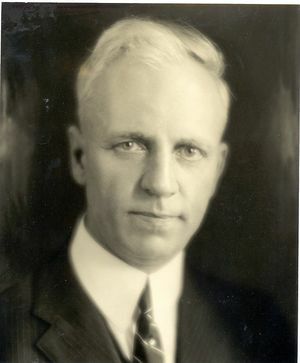 From 1919 to 1924 he was a manager of the Institute, in 1925, vice president and President in 1926. He was chairman of the Standardization Committee in 1912-1924. He is a Fellow of the American Institute of Electrical Engineers, and has been a member of the Publications Committee, and for five years chairman of the Communications Committee of that Institute. This page was last edited on 21 January 2016, at 19:37.